All Light! Seminars are free for Expo attendees. To register for the Expo click HERE. Expo registration does not guarantee a seat at the seminars - admission is on a first-come-first-served basis. To request CEU credits before the seminars click HERE. A look inside the Horizon Group, a corporate think-tank unencumbered with day-to-day business concerns that focuses on the future of the lighting industry. Their work is to reimagine the role of lighting in architecture and how we will interact with it. Approved for 1 IES CEU and 1 AIA HSW LU. FREE. 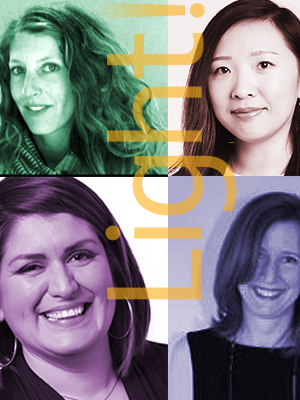 This powerhouse roundtable of women in lighting explores the role of women in lighting through personal history and career philosophies. Approved for 1 IES CEU and 1 AIA LU. FREE. As clients increasingly demand connection to diurnal rhythms, a better understanding of daylight and how it interacts with electrical lighting becomes crucial. This presentation will review strategies for designing electric lighting in conjunction with daylighting; methods to quantify and evaluate the integration of the two; and what happens when you stretch these ideas to their limits. Approved for 1 IES CEU and 1 AIA HSW LU. FREE.